The Lost Cities Tour made its way through Dallas, TX with a stop at the House Of Blues. 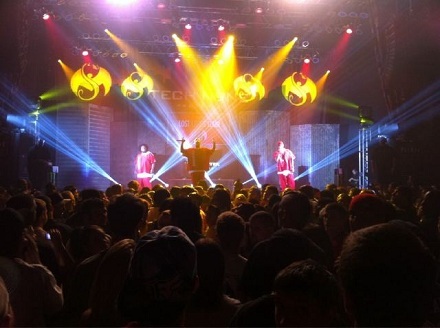 Coming off the first few shows of the tour, Tech N9ne was in full performance mode for the night. Flawless, Jay Rock, Krizz Kaliko, and Kutt Calhoun started the party off with high energy performances and gave the Dallas crowd a taste of everything the tour had to offer. Tech N9ne then took to the stage with Krizz Kaliko and Kutt Calhoun for a true headlining performance that opened up the floor for moshpits and crowd surfing. Tech N9ne’s live show was nothing short of wild and will surely be a hard one to top as The Lost Cities Tour continues.